Photos are a nice reminder of who you are, and could inspire you to be a better person. Winter Warm Wave, Fairchild Radio's signature charity project, is officially kicked off today and will last until Jan 2, 2019. Bring your unwanted clothes to the collection locations below, Salvation Army will make use of them to bring joy to the people in need. Then on Dec 16 (Sun) from noon to 4pm, we will set up a "Give the Gift of Warmth" booth to collect clothing donation at Aberdeen Centre. 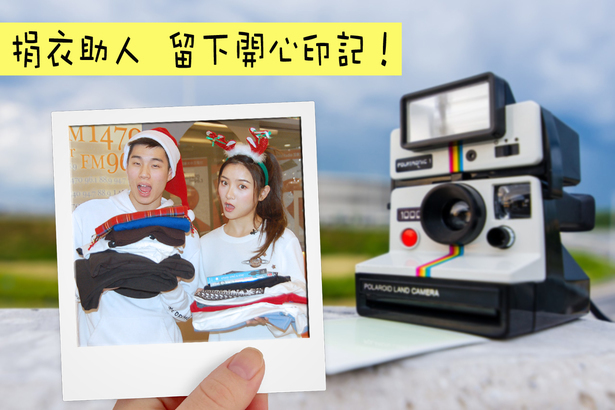 If you donate 5 pounds of clothes or more, we will take an instant photo of you and your companions. The photo is for you to keep as a souvenir, and it will be a nice reminder that, yes, you have made a difference in other people's lives.